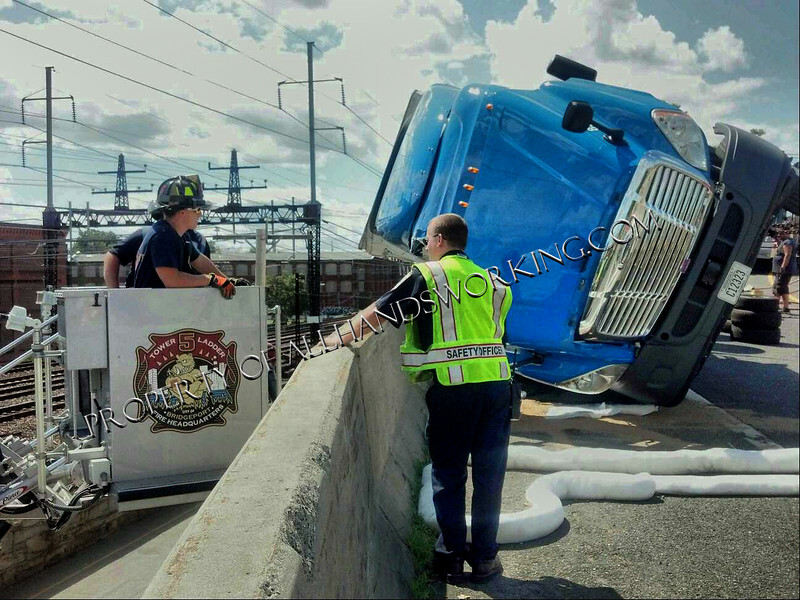 08/14/14 Bridgeport, CT - A tractor trailer tipped over rounding a sharp curve on the Rt. 25/8 connector southbound. The Accident occurred around noon time causing traffic delays on nearby Interstate 95. Three heavy duty wreckers operated to right the rig. It was carrying a cargo of yogurt at the time it rolled. Three engines , two trucks and the hazmat operated for two and a half hours.